Click on the adventure of your choice. Purchase your flight and send us your flight itinerary. Immerse yourself in our Costa Rican adventures. From day trips to month long adventures, we offer it all. Select and click on your ideal adventure. We are based in San Isidro de El General. We are the first rafting and outdoor adventure company based here, just 3.5 hours South of the capital, San Jose. Select from three options we offer to find out more. Watch What You Will Experience. Here's a quick guide to Costa Rica's airports and the airlines that fly into, and around, the country. Here are some resources to help book your flight to Costa Rica. 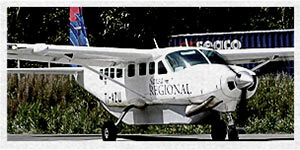 Use airport code SJO for your arrival into San Jose, Costa Rica. Some helpful facts and tips for your trip. With one of the more diverse climates in the world, Costa Rica is the perfect destination for adventure seekers and nature lovers. Usually dry season occurs from December to April. Warm weather persists and is ideal to be outdoors. Green season occurs between May to November. Generally sunny weather in the mornings and showers in the late afternoon and night, it is a great time for explore the rainforests and rivers of Costa Rica. Autentico Adventures is family run business and is owned and operated by Costa Ricans. We are committed to offering professional, culturally-immersive experiences off the beaten path. We love sharing our country and family with you. Offer the best culturally immersive adventures in Costa Rica through homestays, rafting, kayaking, hiking, and cultural exchange. SAFETY Professional standards to allow guests to enjoy and learn to their greatest potential possible. Work in harmony with surrounding nature to protect, respect, and learn. Create economic opportunities for locals, facilitate interaction with local Costa Ricans. Enjoy the natural wonders of Costa Rica with incredible adventures! 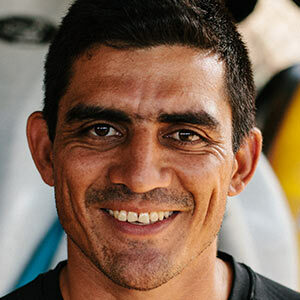 Felipe has been guiding rafts, teaching kayaking, and leading groups through Costa Rican and Central America for over 15 years. Felipe's presence is always noticed and appreciated - he can get anyone excited about the outdoors and loves to share the power of nature with other people. Felipe lives with his wife Patricia, and daughters Maria Fernanda, Isabela, and Mariana. 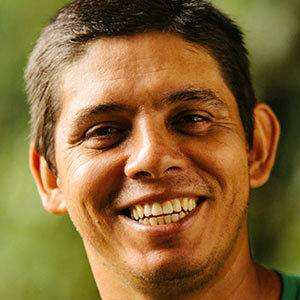 Carlos has been a professional outdoor instructor for over 15 years in Central America. He is dedicated to teaching people about nature and it's importance, and is always ready to take on new challenges. Carlos lives with his wife Luz Mery, sons Ernesto, Juan Pablo, and daughter Karla. Wilderness First Responder. CPR and First Aid for the Professional Rescuer. Rescue 3 International-Whitewater Rescue Technician. International Rafting Federation (Instructor, Rafting). Technical Ropes Rescue. Incredible. Autentico goes above and beyond simply providing a fun experience and created an intimate, genuine adventure with Costa Rican families and communities. Fantastico! The activities were fun and the people were great. Would love to come back! Amazing! It was so well organized and I learned so much. I had a ridiculous amount of great experiences, and I loved every minute!